The Tampa Bay Buccaneers are a professional American football franchise based in Tampa, Florida. 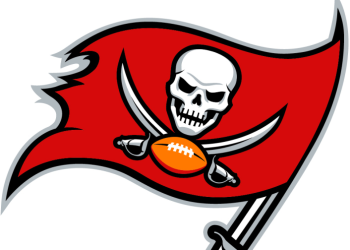 The Buccaneers currently compete in the National Football League (NFL) as a member team of the National Football Conference (NFC) South division. Along with the Seattle Seahawks, the team joined the NFL in 1976 as an expansion team. Are the Cardinals really debating who to select at No. 1 overall with just 48 hours to go? The Arizona Cardinals look set to pick No 1 overall, instead of trading down, with the power to spark a new era under head coach Kliff Kingsbury. Quarterback Kyler Murray is under consideration, though Phoenix is far from certain to be the Oklahoma prospect’s landing spot in the NFL. The San Francisco 49ers, New York Jets, Oakland Raiders, Tampa Bay Buccaneers and New York Giants are all nervously waiting, hoping to pounce should a team ahead make what they may perceive as a mistake. Tampa Bay Buccaneers tight end Cameron Brate is expecting to be ready for training camp, according to Scott Reynolds of PewterReport.com. Brate underwent surgery to repair a torn labrum in his hip back in January and had been dealing with the injury for quite some time before finally opting to have it remedied. “Yeah, personally I wish I would have played better last year and everything like that, but I just don't think I was able to prepare for the season the way I wanted to dealing with the injury,” Brate said. The 27-year-old, who signed a six-year contract extension with the Buccaneers last year, played in all 16 games this past season, hauling in 30 receptions for 289 yards and six touchdowns. Keeping QBs like Dak Prescott and Kirk Cousins happy and healthy could be prime draft directives in the NFC.